On this bike pic Sunday, digging through the archives we found a biker chick in heaven enjoying an ice cream sandwich after a hard days ride. What’s better than bicycling and ice cream? This picture was shot on the 2017 RAGBRAI bike tour. 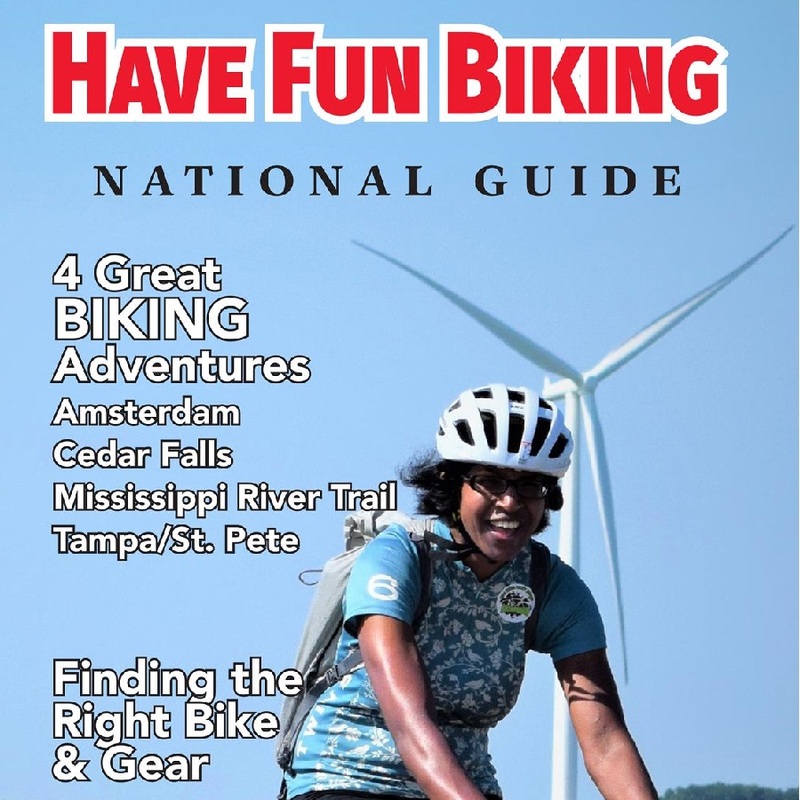 View the new National Bike Guide and all the fun rides coming up in 2019. Now rolling into our 11th year as a bike tourism media, our goal is to continue to encourage more people to bike and have fun. While highlighting all the unforgettable places for you to ride. As we continue to showcase more destinations you can have fun as we hope the photos we shoot are worth a grin. As you scroll through the information and stories we have posted, enjoy! Do you have a fun bicycle related photo of yourself or someone you may know that we should post? If so, please send your picture(s) to editor@HaveFunBiking.com. Include a brief caption (for each), who is in the photo (if you know?) and where the picture was taken. Photo(s) should be a minimum of 1,000 pixels wide or larger, to be considered. If we do use your photo, you will receive photo credit and acknowledgment on Facebook and Instagram. 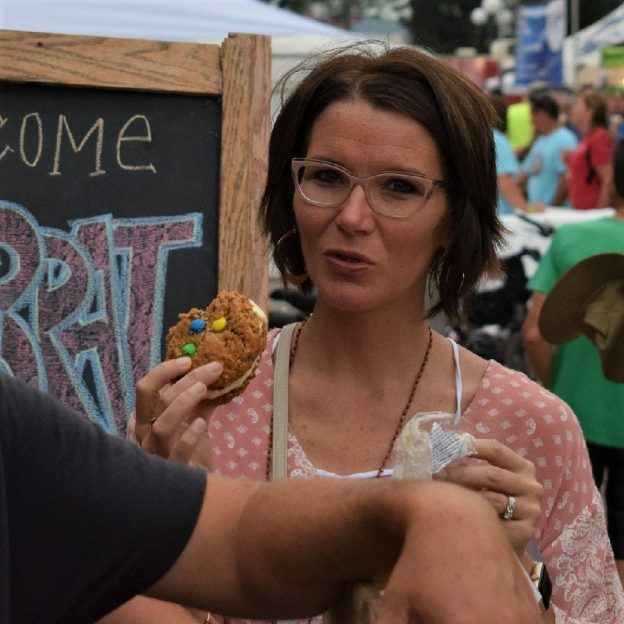 This entry was posted in Picture of the Day and tagged #nextbikeadventure, bike guide, Bike Iowa, Bike Ride, biker chick, ice cream, Ice cream smiles, Ice Cream Smiles Sunday, Iowa bike guide, Orange City IA, pic of the day, RAGBRAI, Road bike Iowa, sunday fun day, sunday smiles on November 18, 2018 by Russ Lowthian.